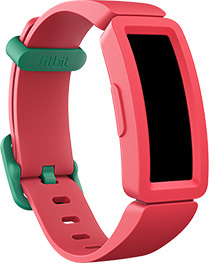 A comfy band, easy-to-use touchscreen and adjustable clasp lets Ace 2 grow with kids. There’s nothing more meaningful than creating a healthier life together. 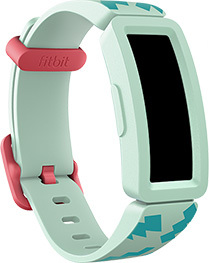 Fitbit Ace 2™ gets the whole family moving in a way that’s rewarding and fun. 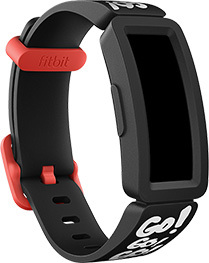 For kids’ safety, they’re only able to keep track of their stats and badges, choose favorite clock faces and avatars and connect with parent-approved friends. 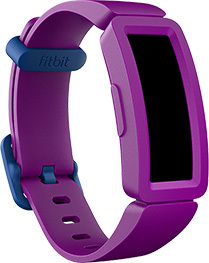 Fitbit Ace 2™ makes it easy for kids to get moving. Because everyone needs a friendly nudge to stretch their legs sometimes. Kids earn virtual badges and trophies with step challenges where they can try to best their buds. 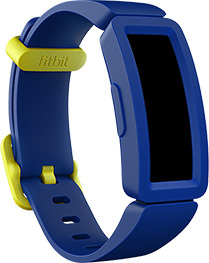 Give the Ace 2 band an energizing boost with patterns that let kids express themselves as they move and have fun.